In a Poe and detective fiction research paper, outline Poe’s contribution to the genre by presenting textual evidence, comparisons, and explanations of Poe’s unique detective-fiction formula. Research papers on Edgar Allen Poe and his detective fiction have long debated the nature, quality, and extent of the influence of several of Edgar Allen Poe’s works of short fiction on the evolution of the genre now known as detective fiction. Paper Masters writes custom research papers that explore Poe's contribution to detective fiction. Include various critical accounts of Poe’s influence upon other writers of detection fiction. In research papers on Poe and Detective Fiction explore Poe’s legacy as manifested in the development of later styles of detective fiction, most notably the “hard-boiled” school of detective fiction in the 1920’s. Finally, in a research paper submit an assessment of the ultimate significance of Poe’s contribution to the genre of detective fiction. Because Edgar Allen Poe is often popularly referred to as ‘the father of detective fiction,’ many people mistakenly assume that this means Poe was the first author to write a story wherein a detective attempts to solve a baffling crime or case. To the contrary, stories utilizing variations of these elements have appeared since at least the Victorian Era. No art form can, or should, eschew the organic process of progressive development and change. 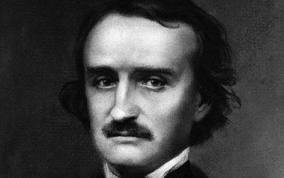 Rather, the fact that the fundamental elements of the basic formula Poe set forth in “The Murders in the Rue Morgue,” “The Mystery of Marie Roget,” and “The Purloined Letter” have remained for the most part intact over the last 150 years are a testament to the importance and significance of Poe’s literary legacy. Clearly, the evolving genre of detective fiction did not continue to duplicate in all aspects the classic model Poe originated in the Dupin stories. Rather, detective fiction, like all types of literature and art, has naturally responded dynamically to social, political, cultural and intellectual developments in the world. In itself, the fact that detective fiction has not remained entirely static does not nullify Poe’s substantial contribution to the genre. No art form can, or should, eschew the organic process of progressive development and change. Rather, the fact that the fundamental elements of the basic formula Poe set forth in “The Murders in the Rue Morgue,” “The Mystery of Marie Roget,” and “The Purloined Letter” have remained for the most part intact over the last 150 years are a testament to the importance and significance of Poe’s literary legacy. The work of the group of mid-19th century French writers known as feuilletonists all contain various forms of the fundamental elements of detective fiction. To take an even broader view of the issue, texts dating back to the advent of written literature involve accounts of mysterious crimes and the process of their resolution. In what sense, then, can Edgar Allen Poe rightfully be considered the progenitor of the genre of detective fiction? Literary scholars have advanced several theories that explain how the stylistic innovations Poe made are primarily responsible for the evolution of the detective story. Setting in Bleak House - The setting of the Charles Dickens story Bleak House is as complex as the storyline itself, as it continually changes with the various character groupings. Symbolism in Bleak House - As one of Charles Dickens's most complex stories, Bleak House contains in its pages many different characters and subplots. The Raven - But Edgar Allan Poe invented the modern detective fiction. Life of Edgar Allen Poe Research Papers discuss an order placed for an autobiography of the writer along with opinions about his writings. Ligeia Research Papers look at a story by Edgar Allan Poe about a type of immortality achieved by someone who is obsessive and appears to be a little mad. Paper Masters writes custom research papers on Edgar Allan Poe and Detective Fiction and outline Poe’s contribution to the genre by presenting textual evidence, comparisons, and explanations of Poe’s unique detective-fiction formula.